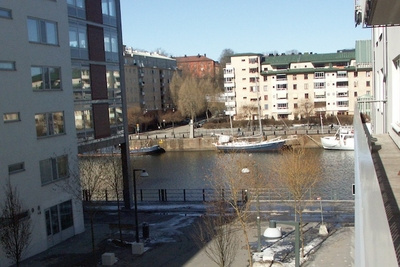 Stay in our home in the center of Stockholm and walk to all the sights! We have three bedrooms, and a large livingroom, a bathroom with a tub plus an extra washroom. 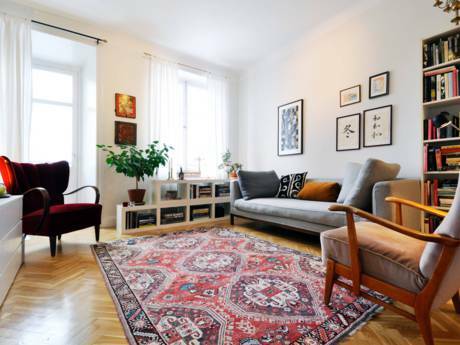 We rent our apartment and the style is old fashiond with high ceiling. There is an open fire place, but it hasn´t been used in seven years! We are on the second floor and the place is fully furnished we think, including cable tv and high speed Internet acess. Our apartment is in the most expensive part of town. Everything is nearby like restaurants, cinemas, theaters, art galleries and so on. Buses are right outside the door and the subway is only five minutes away. You can even walk to the ferries that take you out in the archepelago or get on the larger ships that take you to Helsinki or Estonia. If you would like to see more of Sweden you can use our car, an Audi A6 sedan. Should you have any kids the closest park is less tha 100 meters away. There are five of us in the family. 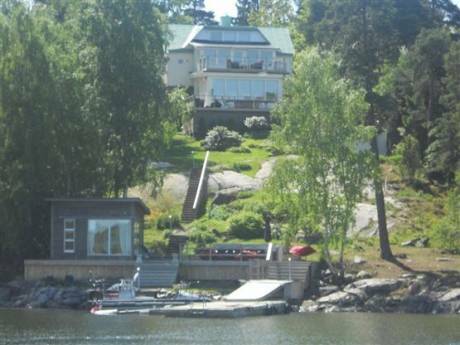 I am Mats who currently work as a teacher, but I´m also a real estate broker. My wife Eva works for the largest morning paper in the country as an editor. Our two daughters, Kristina (19) and Charlotte (17) are in high school and our son Johan (14) is at school to. We love to travel and spent last summer in Florida. This year we are looking for an exchange in California where I also will resume my interest in flying small planes.